ZMap is a fast open-source network scanner designed for Internet-wide network surveys. On a typical desktop computer with a gigabit Ethernet connection, ZMap is capable scanning the entire public IPv4 address space in under 45 minutes. While previous network tools have been designed to scan small network segments, ZMap is specifically architected to scan the entire address space. It is built in a modular manner in order to allow incorporation with other network survey tools. ZMap operates on GNU/Linux and supports TCP SYN and ICMP echo requestscanning out of the box. ZMap is a typical “async/syn-cookie” scanner like scanrand, Unicornscan, and masscan. For more port scanners check here. While ZMap is a powerful tool for researchers, please keep in mind that by running ZMap, you are potentially scanning the ENTIRE IPv4 address space and some users may not appreciate your scanning. We encourage ZMap users to respect requests to stop scanning and to exclude these networks from ongoing scanning. We suggest that users coordinate with local network administrators before performing any scans and we have developed a set of scanning best practices, which we encourage researchers to consider. It should go without saying that researchers should refrain from exploiting vulnerabilities or accessing protected resources, and should comply with any special legal requirements in their jurisdictions. It’s a fairly unlikely set of circumstances however, and it is a client flaw not a server flaw – so you’d need to connect to a malicious server using tnftp to fall foul of this flaw. Basically if you request a file, but don’t use the -o flag to specify an output filename the client will follow HTTP redirects and if the output of the filename begins with a pipe it will pass the rest to popen. A serious vulnerability has been discovered in a File Transfer Protocol (FTP) client used by many Unix-like (*NIX) operating systems, representatives of the NetBSD Project reported on Tuesday. 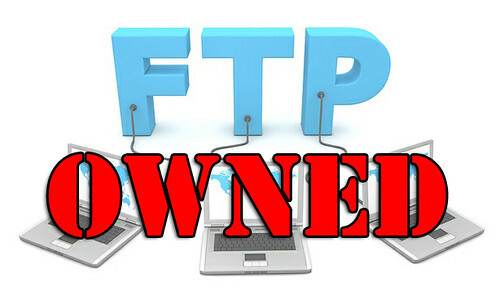 The tnftp FTP client is fairly old, but it’s still widely used. It can be found in Red Hat’s Fedora, Debian, NetBSD, FreeBSD, OpenBSD, and even Apple’s OS X operating systems. Jared McNeill, a software developer at the NetBSD Project, has identified a vulnerability that can be exploited via a malicious Web server to cause tnftp to execute arbitrary commands. The CVE-2014-8517 identifier has been assigned to the flaw. The flaw was however fixed in OpenBSD FIVE YEARS ago, shame no one noticed and they didn’t make more noise about it. Although it was fixed from another perspective, not to remedy this exact flaw. Patches are coming out for this pretty fast, and it even effects the latest Apple OS X version Yosemite (10.10) – although I don’t expect Apple to really do anything much about it. After it resolves the output filename, it checks to see if the output filename begins with a “|”, and if so, passes the rest to popen(3),” Crooks added. The list of operating system developers that appear to be aware of the flaw includes Debian, Red Hat, Gentoo, Novell (SuSE Linux), DragonFly, FreeBSD, and Apple. Debian, Red Hat, Gnetoo and Novell have each published advisories for the bug. The tnftp vulnerability affects OS X Yosemite 10.10, the latest version of the Mac operating system. Apple has been notified, but Crooks says he received only a “boilerplate reply” from the company. Interestingly, the issue was fixed in OpenBSD five years ago. “I changed OpenBSD’s ftp(1) a while ago to just use the ‘filename’ part of the original request, rather than taking a name from the redirection target (this also matches what curl -O does) – it’s a bit less convenient in some cases, but it felt like a bad idea to allow the output filename to be under control of the remote host (though I was more thinking of the situation where someone might run it from their home directory and write to something like .profile),” Stuart Henderson of OpenBSD wrote in response to Crooks’ post. Look out for patches for your OS, or install another ftp client (that may or may not be more secure) at your own risk. I can’t see a whole lot of damage being caused via this, as it’s a client side rather than server side issue – but some people might try and have some fun with it. But honestly, how often are *nix users accessing web resources using a FTP client rather than CURL or wget? Anyway, we shall see if anything comes of this. It is smart, it trains itself by monitoring and learning from the web application’s behaviour during the scan process and is able to perform meta-analysis using a number of factors in order to correctly assess the trustworthiness of results and intelligently identify (or avoid) false-positives. Finally, it is versatile enough to cover a great deal of use-cases, ranging from a simple command line scanner utility, to a distributed high performance grid of scanners, to a Ruby library allowing for scripted audits, to a multi-user multi-scan web user interface. 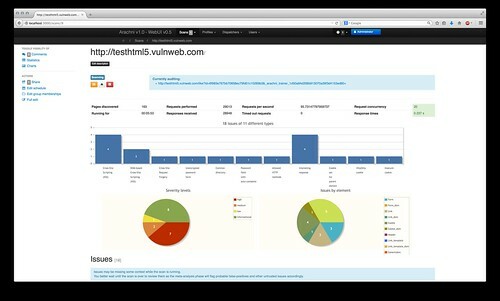 We haven’t mentioned it for a while back since 2012 – Arachni v0.4 Released – High-Performance (Open Source) Web Application Security Scanner Framework. The new scanner engine has been benchmarked (WIVET v3 and WAVSEP v1.5) higher than even the most established commercial products in crawl coverage, vulnerability identification and accuracy. It’s a major rewrite so it will break backwards compatibility, don’t try and upgrade because you need to start from scratch. CLI options are different, reports are different, the RPC API is mostly different, the RPC protocol is different and so on and so forth. Ruby library, for highly-customized, scripted scans. CLI scanner utility, for quick scans. WebUI, for multi-User, multi-Scan, multi-Dispatcher management. Distributed system using remote agents. Support for scan hibernation (suspend-to-disk/restore). Automated session management (logout detection and re-login). Plethora of scope options, governing scan coverage. Intelligent, on-the-fly adaptation to each web application. Fingerprinting of each individual resource. Adjusts injections to match deployed platforms. Automated detection of custom-404 pages. Constant monitoring of server health and auto-throttling. Resulting in less bandwidth consumption, less stress to the web application and, as a result, faster and more reliable scans. Trains itself during the entire scan, by learning from HTTP responses, in order to identify new vectors and handle complex workflows like multi-page/form wizards. Asynchronous HTTP requests for lightweight concurrency and fast communications. Support for multi-Instance scans, utilizing multiple Instances/processes, for super-fast audits (Even when distributed across multiple nodes). Highly detailed, well-structured reports available in multiple of open formats. Supports addition of custom Checks, Reporters and Plugins due to its modular design. No more crawl-first, scan workload is discovered and handled on-the-fly. Support for suspending scans to disk. Link templates (for extracting arbitrary inputs from generic paths). DOM link templates (for extracting arbitrary inputs from generic URL fragments). NoSQL injection (error based and blind). New reports providing enormous amounts of context for easy issue verification and resolution — especially for DOM-based ones. Proprietary, commercial license for SaaS providers and commercial distributors. Apache License v2.0 for all other use cases. Or read more here – the author can be found on Twitter here @Zap0tek. 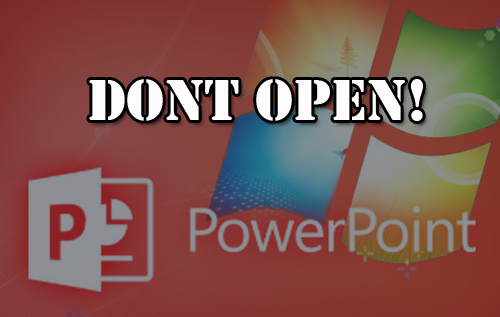 So the latest news is, don’t open any .ppt files if you aren’t entirely sure where they came from as there is a Microsoft Zero Day vulnerability in OLE (Object Linking and Embedding) handling in Microsoft Office that is currently being exploited in the wild by malicious Powerpoint slide decks. Not that anyone reading this would be likely to do that, but yah – just so you know this vector is live and being used out there. It’s currently unpatched and it’s not clear right now if Microsoft is likely to release an out of band patch for this or not. It is pretty serious and it is being used in the wild, so if history holds any precendence – it’s likely they will take action before the next scheduled Patch Tuesday on November 11th. Hackers are exploiting a zero-day vulnerability in Windows using malicious PowerPoint documents, Microsoft and security firms warn. An advisory from Microsoft warns that the as-yet-unpatched flaw is present in all supported versions of Windows except Windows Server 2003 and has already been abused in “limited, targeted attacks”. The bug (CVE-2014-6352) can be triggered by sending a specially crafted Microsoft Office files to intended targets before tricking them into opening the booby-trapped files. “Currently, attacks using PowerPoint files are known to exist, but all Office file types can be used to carry out this attack,” Jonathan Leopando, a technical communications staffer at Trend Micro, warns in a blog post. The specially crafted malicious files would contain a malicious Object Linking and Embedding (OLE) object, a technology used to share data between applications that allows a chart from an Excel Spreadsheet within a PowerPoint presentation, among other functions. Tricking a user into opening a malicious file results in an infected machine but won’t cough admin privileges to the hacker – at least not by itself. Attacks are likely to generate pop-up warnings and under default settings a User Access Control popup would get displayed. This means that user interaction would be needed to run successful attacks based on CVE-2014-6352 alone, an important limiting factor. Nonetheless the unpatched flaw is bad news for corporate security and a promising potential route into systems for cyberspies and the like. Redmond is investigating. Technically it seems that this vulnerability can be exploited using any format that Microsoft Office supports (Word documents, Excel spreadsheets etc) – also the vector itself is not a straight pop. It would likely generate warnings and UAC dialogues meaning that user action is required for the attack to be successful. The next scheduled Patch Tuesday falls on 11 November. In the meantime, Microsoft is pointing sysadmins towards various defences and workarounds including a OLE packager Shim Workaround fix-it and rolling out Redmond’s Enhanced Mitigation Experience Toolkit, which provides general protection against hack attacks based on Windows security vulnerabilities. Microsoft credits security researchers at Google and McAfee for help in dealing with the vulnerability. Is this serious for the average man on the street? Not particularly, but it could be wounding to organisations under constant attack as it gives the malicious parties another vector to work with. Combined with some nifty social engineering, it could be quite effective. Of course if you’re using Microsoft Enhanced Mitigation Evaluation Toolkit (EMET) – you’d be a lot safer than most. So Apple pushed out it’s latest and great OS X version 10.10 called Yosemite, but it’s facing a bit of an uproar at the moment about some Spotlight privacy issues. 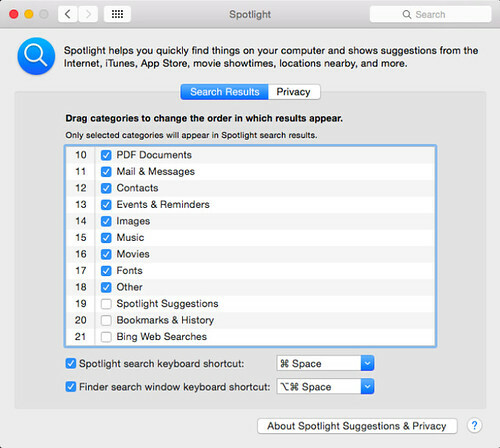 For those who are not familiar, Spotlight is some kinda of super desktop search that searches everything on your computer (and now also the Internet) – which is not cool as every search means your physical location & search term is sent to Apple (and 3rd parties like Microsoft) every time you use Spotlight. The upside? Yosemite is pretty cool and also security wise it comes with patches for both POODLE and Shellshock. Even so, Apple should know better than this and respect privacy by default as they surely understand how something like can blow up. There’s growing disquiet over Apple’s desktop search app Spotlight, which sends queries for things back to the company’s servers to process. Spotlight phones home in OS X Yosemite, version 10.10, and it is enabled by default: it can be switched off, but with Apple insisting that it now takes people’s privacy seriously, the software has raised some eyebrows. It appears Spotlight sends queries, along with your location, back to Apple over the internet so the company can suggest related things from the web using Microsoft’s Bing engine. Apple says it needs to see your queries so it can improve Spotlight’s algorithms for suggesting things. So, for example, searching for “weather” on a Register Mac running OS X 10.10 reveals files, folders and installed applications (such as the Windows 8.1 weather app in Parallels) on the machine containing the keyword; that’s the local search part. This is what you’d expect to see. I can see why they turn it on by default though, the majority of users wont know what is happening and they will enjoy the richer search experience that Spotlight gives them now – ala Facebook style. Do something that pisses off a small subset of more technical users, and see how the public backlash is – if it’s not too bad you profit. This has spread far and wide though, reaching some mainstream news sites – I’m not exactly sure if the average user will be enraged though as we seem to live in a post-privacy kind of society now where people accept companies collect their data. 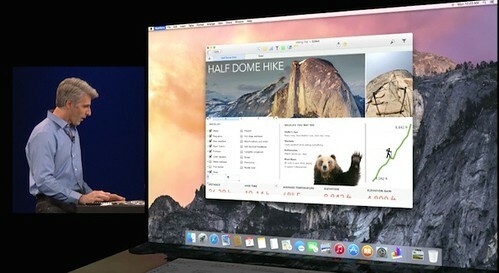 Yosemite was released late last week after a string of betas were made available to developers, the first in June. The OS was finalized as Apple chief exec Tim cook started waving around his company’s alleged efforts to safeguard privacy; Cook hopes to use privacy as a differentiator in the iGiant’s ongoing battle against arch rival Google. But the people behind Fix-macosx.com reckon Spotlight isn’t the only component of OS X Yosemite that unnecessarily phones home. “A myriad system and user processes are sending data to Apple in a default configuration, and we want to fix those, too,” they promise. A collaborative project to identify additional data collected by Apple and other third parties has been set up by the Fix Mac OS X team. “This work is powered by Net-Monitor, our open-source toolkit for auditing phone home behaviour system-wide,” the developers add.